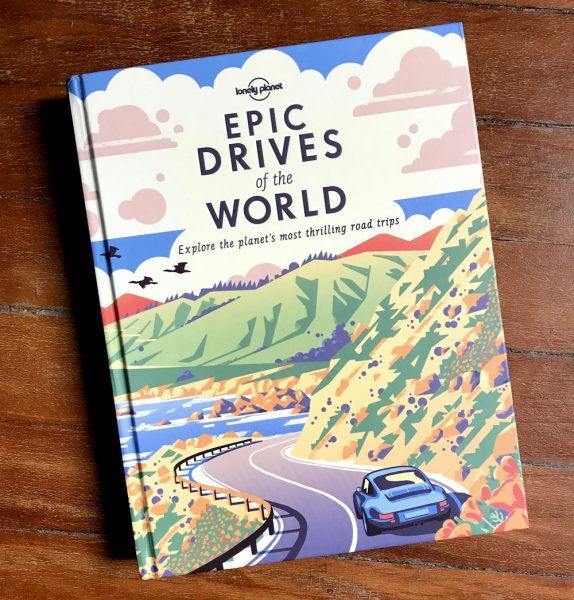 Epic Drives is a beautiful book edited by Lonely Planet. It has short and long road trip tips from all around the world. The book is divided by continents and regions. It has a selection of 50 best trips with photos and information like mileage, best season to go, how to get there, etc. 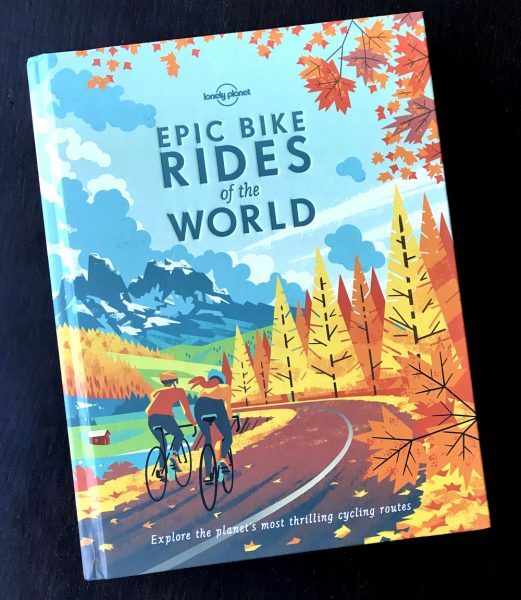 The book is a great catalog to browse through before a trip, see what kind of road trips you have near where you’re going. We used it for the first time for the trip through Ireland and Scotland, and the book we took several tips from tours we did there. I recommend. When I read about “Um Lugar na Janela” in an airline magazine, I wished to buy it. 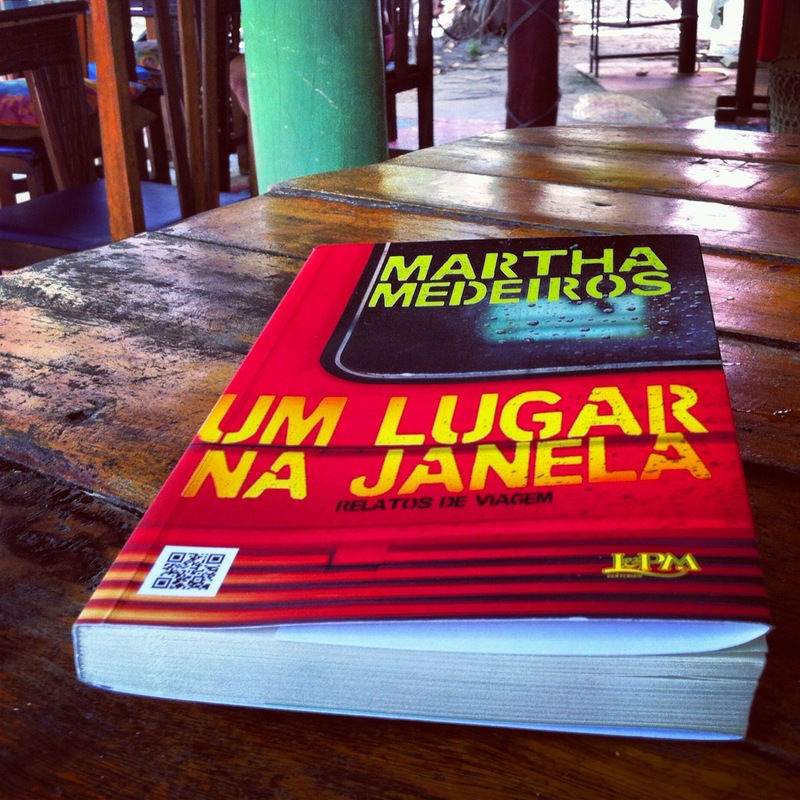 I had read another book by Martha, and liked. So, the expectations were good. 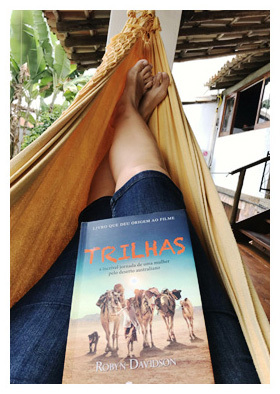 In the first chapter, the author states her reasons to travel, something that I share with her. But after that, the book disappoints. Created initially to be a blog, I believe it had to continue that way. It is different the way we read a blog and a book, at leat it is what I think. In a book I want a more elaborated text, mor interesting in terms of content and form. I don’t know how to write, I’m awful on that, so I photograph. However, when I read (and love reading), I want text that I could say: “I’d love to have written that”. But this did not occour in any moment of “Um Lugar na Janela”. The idea of the book by itself it is interesting, to take a trip from Paris to Marsella only stopping on the highway stops. Together, the couple decided the rules for the trip, as if they determined the rules for a game, and they prepared to the action. I think the first chapters, the prior to the expedition, are the best. Maybe, due to my enthusiasm for challenges, for previous planning and by my passion for awkward travels. 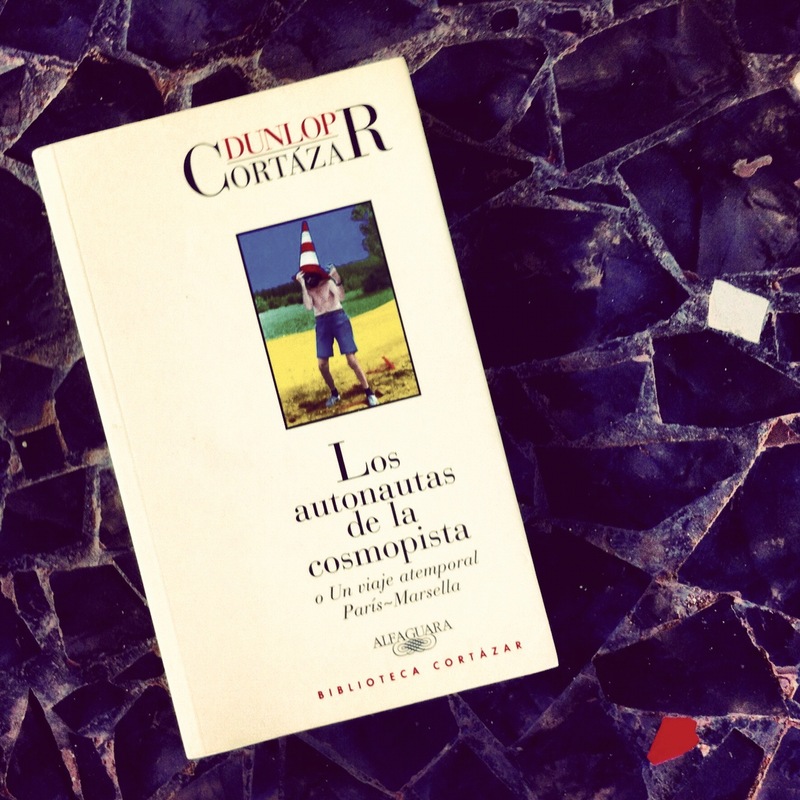 Another point interesting of Los autonautas de la cosmopista is that two people wrote it. Cortazar and his partner, the photographer Carol Dunlop, wrote together. Sometimes, while reading, we don’t know who is writing, we can only realize that when one of them refers to the other as Lobo (wolf) or Osita (Litle bear). This book by Borges with photos by his partner María Kodama is a quilt of places, travels, experiences and impressions. 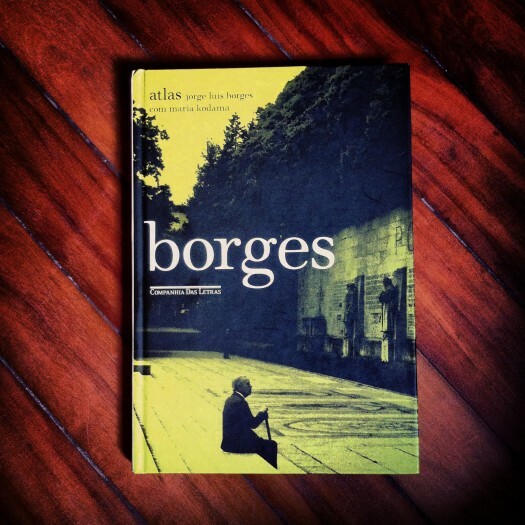 The Brazilian edition is beautiful, hard cover, colored pages, well designed. By reading these short stories, we travel to Alexandria, Venice, Athens, Reikjavik, Genev, Istanbul… We travel in the imagination of this places created or experienced and, at the same time, we get an intimacy with the author by seeing his photos as in a family album. It is an atlas of personal souvenirs of moments out of the routine, glimpses of his “errant” life. The book, edited by the famous travel guide brand, is a collection of short stories (comic and tragic) about trips that “went wrong”. 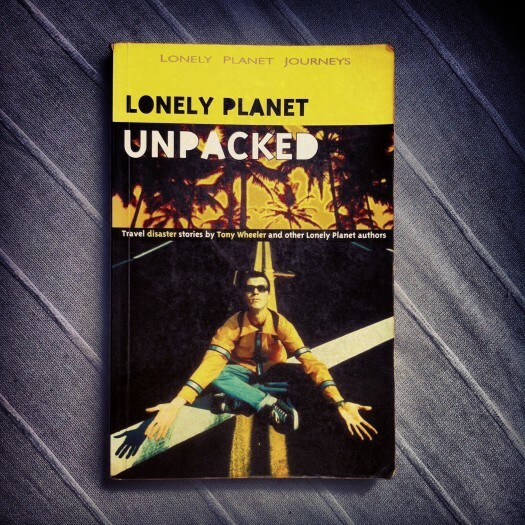 When I read the book, I wondered the difficult moments I had traveling. Yes, I had some very complicated, they would be good stories for the book, especially the ones involving army, airport and border security and being sick alone in a foreign country. Unpacked doesn’t talk about disasters as the title suggests. It presents some awkward situations we all pass in a trip or another. The book takes us to a rafting in Alaska, trekking in Madagascar, trains trip in India and New Year’s in Boneo. I believe it is this king of adventures, things we did not plan on a travel, the inconveniences and surprises that test us and identify us as travelers and not only tourists. One of the most incredible places here is the subway “metro”. There is the largest and deepest escalator I’ve ever seen. I looks like we are going down into a big hole. The decoration is all from the 50s. There are some stations that are totally closed, dark. You don’t see when the train is coming, there are iron doors that open only when you can board in. It gives a claustrophobia feeling, the walls are thick and the iron doors always closed. It reminded me the film “The Cube”. Some people told me that the doors and thick walls are due to the pressure from the river and canals above.